Hi my name is Magnus. 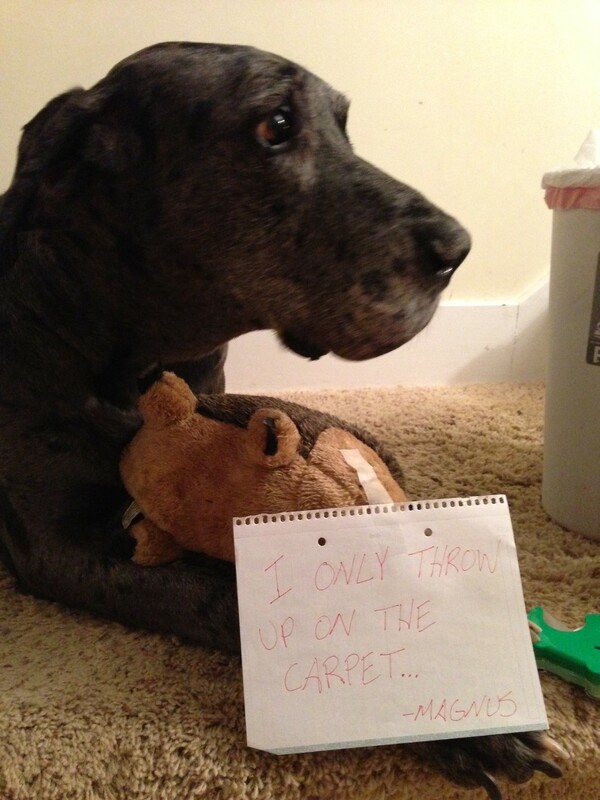 I am a Great Dane and I only throw up on the carpet. Dad still is trying to get the stain out. Magnus looks so worried! There is this “G.I. paste” I found and I think it is on Amazon, it has yeast extract, lactobacillus, apple pectin and a lot of other nasty sounding things. I have never known it to fail when my dogs have stomach upset. It comes in a giant dosing syringe and is some ugly brown stuff but it works for us. Poor Magnus, he doesn’t look like he feels well at all. He has such a sad and sweet expression on his face. What big sweet eyes. At least he has his teddy to make him feel better. Resolve carpet cleaner works great! 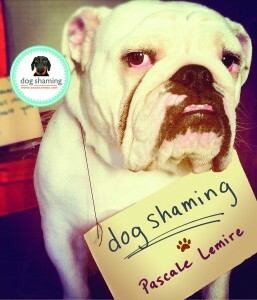 It’s in the official dog handbook – mine does exactly the same thing! In a house with 85% hardwood and tile floors, the ONLY place Mugwump will barf is on my beautiful, expensive, WHITE masterbedroom carpet! !